We can not emphasize the importance of proper measurements for a successful fit of your racing apparel. 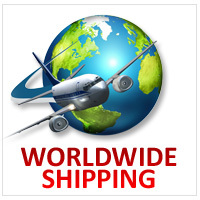 In this day of on-line ordering, you really need to follow our guidelines closely for a good fit. DO NOT guess your size, go by your old firesuit size, or go by your jeans sizes. That is a recipe for a poor fit. 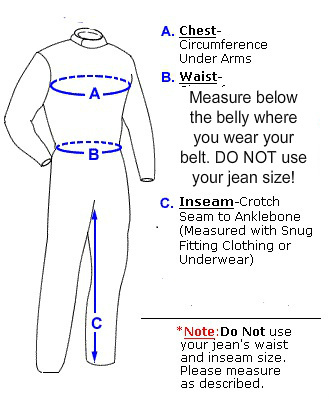 For proper fit, measure your Chest, Waist, and Inseam following the diagram below. We suggest starting your suit search by searching for suits with the exact waist that you came up with. If you measure between sizes, we suggest you up it to the next inch. We also recommend that you pick a chest size slightly larger than your actual chest size, even up to 5-8% larger. This ensures a comfortable fit, and allows better shoulder movement for racing. We measure inseam from the crotch, to the ankle bone, so it will normally be shorter than your jeans would be. 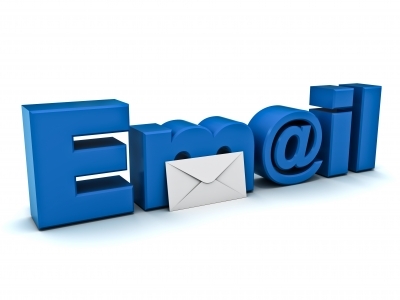 You are always welcome to call us directly at 704-660-9440 if you have sizing questions.